Vivo’s latest revolutionary breakthrough, the Vivo V11, is a testament to the brand’s relentless vision to produce the most sought-after modern phone. Not only is it armed with sophisticated technical specs and functionality, it also bears a sleek and cool design that is undeniably compatible with today’s fashion. It is perfect for consumers who yearn for a state- of-the-art smartphone that will complement their overall modern style and taste. Vivo V11’s futuristic immersive design boasts an aesthetic that can complete your contemporary Outfit of the Day (OOTD). Its ultra-thin 1.76mm side bezels, paired with its 3D curved body design, provide maximum grip and comfort as you go through your daily activities in style. What makes the phone utterly fashionable is its brilliant fusion colors: The Starry Night and Nebula. Vivo has created two trendsetting fusion colors inspired by the exciting mysteries of the universe -- Starry Night and Nebula. Starry Night’s blend of black and blue and Nebula’s stunning blue and purple hues invoke glistening stars in distant galaxies that heighten the futuristic design of V11. These brilliant fusion colors can reflect a person’s flair for standing out and exuding elegance. To further complement one’s modern style and taste, V11’s 6.41-inch Super AMOLED display has a 19.5:9 aspect ratio, which is vivid with life-like depth and texture. It is also enhanced with the latest flagship’s innovation, the Halo Full View Notch, as it delivers an uninterrupted viewing experience with exceptionally vibrant colors and stunning clarity. In addition, the V11 is equipped with the industry-leading In-Display Fingerprint Scanning Technology for a fast, secure, and ultramodern unlocking method. To keep up with V11’s sleek design, the visible fingerprint pad is eliminated to make it eye-catching and seamless from top to bottom. Everything about V11’s futuristic design features bring out one’s sophistication as shown by these young celebrities and brand ambassadors. 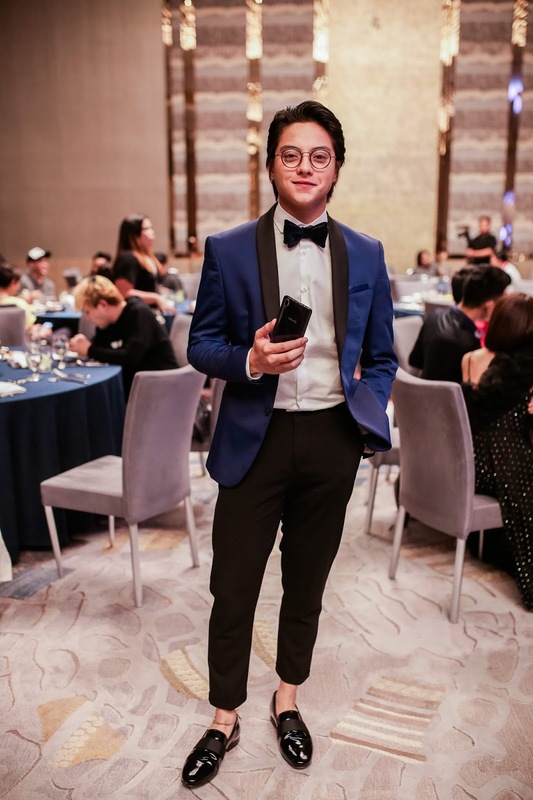 Actor and recording artist Daniel Padilla poses with the Vivo V11 that complements his sleek gradient-themed suit at the V11 launch. Fashion and style blogger Verniece Enciso exudes sophistication with her stylish Vivo V11 at the launch last September 11. 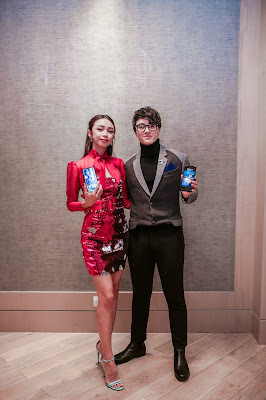 Trending loveteam Maymay Entrata and Edward Barber show off how their futuristic Vivo V11 supplements their fashionable outfits at the launch. Actress Kira Balinger shines bright like her trendy Vivo V11. Ambassadors: Maxine Te from the University of Santo Tomas, Sherwin Vy, and Raycia Garcia both from Centro Escolar University embody the cool design of the Vivo V11. Be as chic as these famed stars and brand ambassadors by owning a Vivo V11 now! You can pre-order the Vivo V11 in two ways: On ground and online. It is available in all participating Vivo concept and multi-brand stores. It will come with exciting freebies—a gift set (bluetooth speaker and earpiece with selfie stick), as well as 6 months extended warranty. Fans may also pre-order the Vivo V11 on shopping websites such as Lazada, Shopee, Argomall, and Akulaku. Freebies such 10,000 mAh game power bank, a gift set (bluetooth speaker and earpiece with selfie stick), as well as 6 months extended warranty will be included. The new Vivo V11 is a pioneering product that merges design and technology for a more personalized user experience. (https://www.facebook.com/vivophil), Instagram (https://www.instagram.com/vivo_philippines/), and Twitter (https://twitter.com/vivo_phil) accounts.